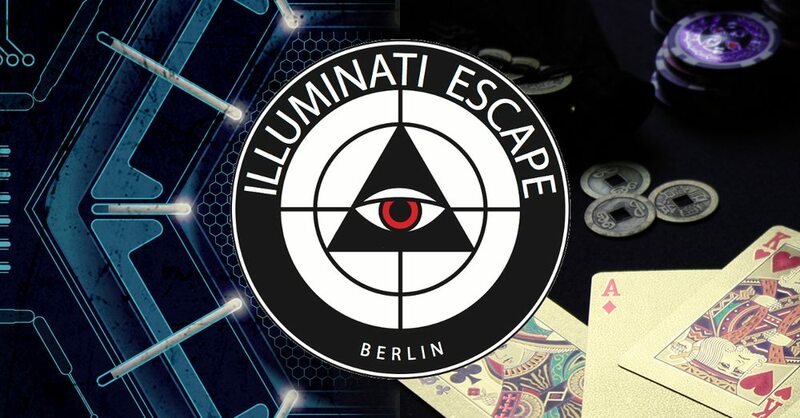 Illuminati Escape isn’t a venue I’d heard much talk about before I visited – it had only opened relatively recently – but a couple of bloggers recommended one of their games, so I took a gamble and booked in for both. To be honest, they had me hooked right from the moment I went onto their website, with a setup suggesting an overarching storyline bringing together their (planned) four games in an Illuminati world. That view was confirmed on arrival, when I saw plenty of things to suggest that they’re willing to go the extra mile for immersion – for example, a world map with locations of each game alongside a set of clocks corrected to each time zone. We played both of their currently open games, Jackpot and Cyber Attack, which were beautifully created, logical experiences (two games, no clues!). With its beautiful start, high-tech finish and some theatrics along the way, Jackpot was the clear winner for me, but Cyber Attack is still a fun experience. The game started off before we even entered the room, with them giving us a mission briefcase to carry in and then taking us to an entrance that transported us to Macau. Those are minor details and barely have an effect on the gameplay, but I find that touches like that help get the immersion started early and make the experience that much better. Once inside the game, the beauty we’d seen at the entrance continued, with a variety of furniture and decoration that conveyed the high-rolling Chinese theme of the story. One might assume that they’d stick with that style throughout, but they’ve managed to create varied environments within the game to take you to different locations in the casino. While this room doesn’t need tech, where they’ve chosen to include it, it worked well. Sometimes it was just a simple touch to improve the game flow – at one point just to add some extra immersion, and on a couple of occasions to create a sense of theatre. Whether they were tech-based or more traditional, I loved the variety and originality of the puzzles they’d created, which were tough but always fair, with a level of direction available if you looked carefully. The important thing was that – and this ran throughout the game – they’d tried to create puzzles that fitted the mission. That worked well both because it made them feel natural (and therefore need less direction) and because it strengthened the immersion. The puzzles weren’t just there to break up the story but to enhance it. Good games have good endings, and Jackpot is no slouch on that front. It’s the right sort of ending for this game – a high-octane finale with some theatre thrown in that ensures that, if you do happen to have been frustrated by a puzzle, the last memories will still be positive. With its heavy focus on technology, Cyber Attack was a very different experience from Jackpot, although the tech theme won’t immediately hit you as you gain access to the old-school computer shop filled with relics of a bygone era. It’s a well constructed environment that I think was deliberately created to contrast with the later parts of the game. As you’re told before you enter the room, the shop is just a front for a high-tech Illuminati centre, and I doubt you’ll be disappointed with what you find there. Once again, they’d got us to carry some props into the room. On this occasion, that allowed them to create a scene that showed their attention to detail. I got the clear feeling that they want to create immersive environments and are searching for every little way in which they can enhance that side of the game. The puzzles, while entirely logical, were probably the weaker side of the experience, with a few later in the room that didn’t particularly engage me. That said, there were some really solid examples, including a couple of enjoyable physical ones and a thematic puzzle that involved the whole team in a simple but high-adrenaline experience. Through a significant proportion of the experience, there’s a piece of taskwork that will help keep people engaged with the game even when it bottlenecks slightly. It was the sort of light touch work that I didn’t mind – it didn’t interfere with the experience but still allowed me to feel like I was usefully employed when others were in the driving seat. The finale to Cyber Attack builds from relatively early on in the game, with a structured set of parallel puzzles that you need to unlock and then solve before accessing the final puzzle. I love that kind of structure, which allows players to work separately if they want to and then slowly brings the team together again for the final act. However, I wasn’t such a fan of the earlier puzzles in that set, which felt like simple computer games that would neither challenge the gaming aficionados nor interest the non-gamers. Again, they’d created a fitting end to the game with a fun final puzzle that fitted the theme beautifully followed by a touch of theatre that delivers the quantum computing core you’ve come for before you rush out the door.